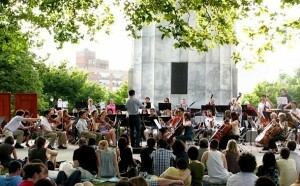 A free concert in Fort Greene Park featuring Beethoven’s Symphony No. 6, known as the “Pastoral Symphony.” Bring a blanket and arrive early to get a spot near the orchestra! This program was made possible, in part, with support from the Brooklyn Community Foundation and the Daniels and Harris Family.